The UK government has named the initial areas around England that will pilot their £300m push to provide computer access from home for school children around the country. 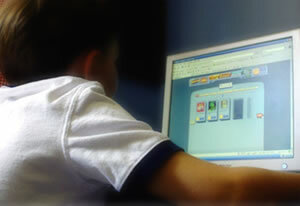 Starting February 2009, 20,000 pupils from low-income families in Suffolk and in Oldham will be offered grants to pay for a computer, software to run on it, a years Internet access and and three years technical support. Originally floated in January 2007, the scheme is hoping to help up to 150,000 pupils around the UK not get left behind as other children gain benefits. It’s planned that the scheme will go nationwide in autumn of 2009. Households that have an income of less than £15,500 or receive benefits such as Income Support or Job Seekers’ Allowance should be able to receive the full package. To qualify, parents will need to contact their local authority and, if they quality, will receive a single use card to be used with approved suppliers. This is a great move by the government to close the Digital Divide. Giving families and children access to computers at home can only help their education. The only specter hanging over this deal are reports of the UK government wanting to monitor the emails and Web browsing of all UK citizens. So what about those people who work really hard and earn just above that amount? It’s just not fair.